These lemon coconut passionfruit tarts are perfects for when you’re following the auto-immune protocol (AIP) as there isn’t much you can eat in the way of ‘treats’. It is an elimination diet, and to be honest I guess the idea is that you also eliminate the ‘need’ for sugar and treats etc. But being the sweet tooth that I am, I was excited to come across this recipe for lemon blueberry cupcakes that I could actually eat! You do need a high speed blender/food processor or thermomix for this recipe. I found it completely fascinating watching the desiccated coconut turn into a batter (coconut ‘butter’ I guess). Without further ado, here is the recipe, and you can even check out my instructional video #2. If you missed the first one, here it is. flesh of the lemon used for the zest. Place the unsweetened coconut in a blender/food processor. Blend on high until the coconut starts to turn into a paste (about 1-2mins), scrape down sides and blend again until it is like a batter – not too thick. Add the zest, lemon, maple syrup and sea salt. Process until it comes together. Add the baking soda, and process just until incorporated. 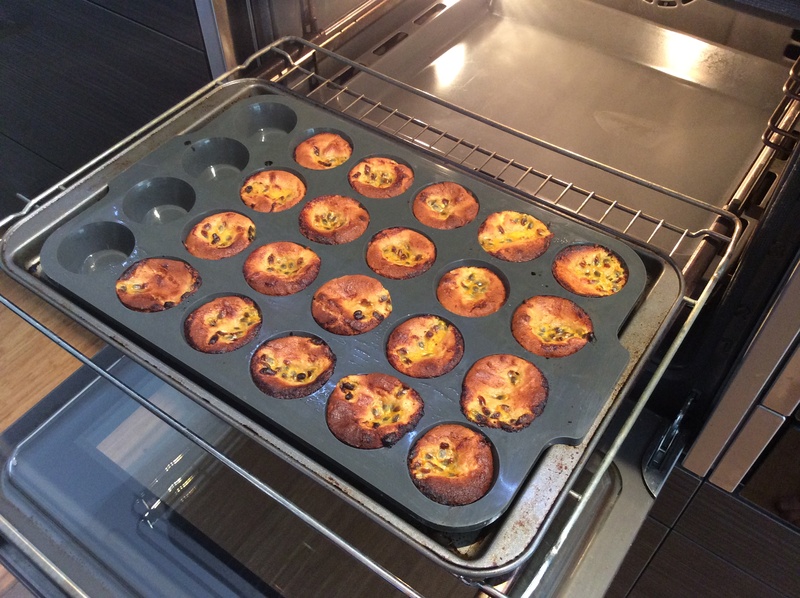 Divide batter into muffin cups. Sprinkle with passionfruit pulp or berries. 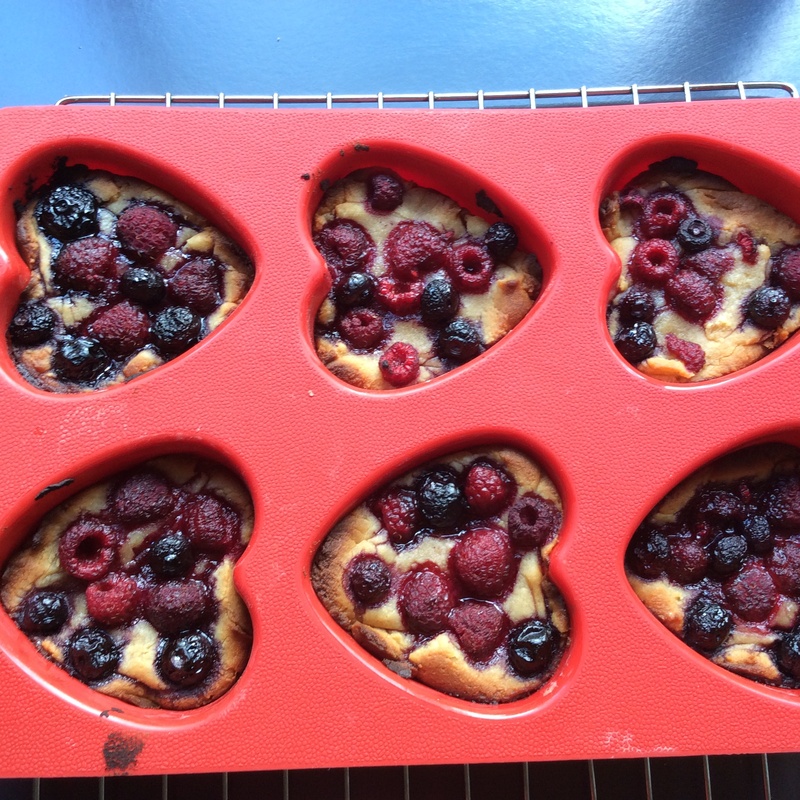 Bake for 25-27 minutes (larger ones, or 15-20mins for minis). You want them to be a little toasty but not burnt. Chill in the fridge before taking them out of the pan. Best served chilled for the best consistency.